What’s the future of L.A. Transit? Look into the future on Wednesday, Aug. 19 at 7 p.m. as Metro CEO Phil Washington joins moderator Conan Nolan of NBC4 TV News on the Plaza of el Pueblo de Los Angeles in downtown L.A. for a special one-man, one-hour Zocalo Public Square Forum. It’s nearing 100 days since Washington arrived at Metro. Prior to his arrival he was CEO of the Regional Transportation District which serves the Greater Denver metro area. But his roots are on the South Side of Chicago, where he grew up riding transit before embarking on a 24-year career in the U.S. Army. There he earned the highest non-commissioned officer rank an enlisted person can achieve. At Metro, Washington presides over projects that aim to change the face of mobility for our region, including five new rail lines under construction, the widening of the I-5 Freeway and a countywide bikeshare program. What does Washington think L.A. County’s transit priorities should be and how on earth can we pay for them? What’s his vision for the future? Find out Wednesday, Aug. 19, 7 to 8 p.m. in the Plaza on Olvera Street, just across the street from Union Station in downtown L.A. Inquiring minds want to know. Will they be able to get the plaza’s 24/7 pan flute guy to shut it down for the hour? From: Metro’s The Source <comment-reply@wordpress.com> Reply-To: Metro’s The Source <comment+pyq6uxvjl9jxr87beip3jf0h@comment.wordpress.com> Date: Friday, August 14, 2015 at 10:49 AM To: Sharon McNary <smcnary@scpr.org> Subject: [New post] What’s the future of L.A. Transit? Phil Washington is the best that could have ever happened to Metro. He is really a brilliant man. CEO Washington certainly has a lot of the credentials and has taken a move to create the Office of Extraordinary Innovations, but I will remain cautiously skeptical at this point. It’s one thing to create a new office, but without results, it only adds to another layer of bureaucracy. And one of the major reasons of Metro being inefficient is their bureaucracy and politics involved in getting stuff done on a timely and on-budget matter. If CEO Washington can assert more control over Metro away from politics and special interests, can achieve a “get stuff done” attitude and can make big technological and innovative changes to Metro away from old ways, then it would be a big step in the right direction. But the outlines of what he and this new office intends to do or what plans they have for “extraordinary innovations” are not clear at this point. Without details, it’s too early to tell, so hence, my cautious skepticism for now. When they really mean “extraordinary innovations,” it’s going to be something new for Metro but in reality it’s like 10-20 year old technology in other countries around the world. Who uses this ancient rotating bar stuff anymore? I’m surprised they even made stuff like this. The darn thing is like too narrow for most people to get through. 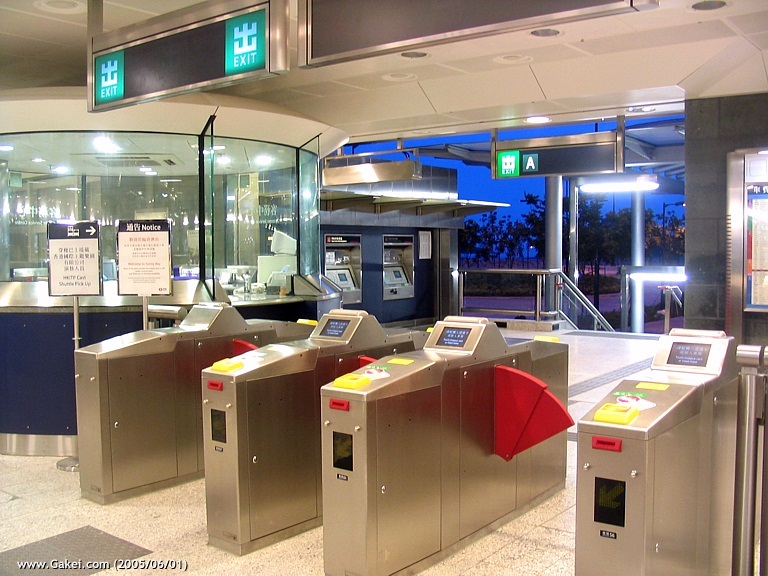 Can you imagine using these turnstiles at the LAX station when the Crenshaw Line opens? How on earth are people ever going to get their luggages through these things? In Los Angeles County, Washington will be presiding over major projects that include five new rail lines, the widening of the 5 freeway, and massive bike lane expansion. What does Washington think L.A.